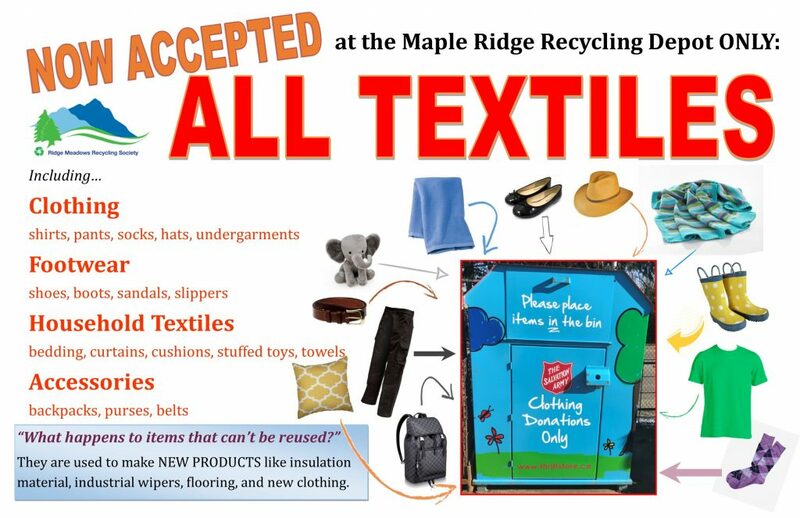 Download the RMRS A to Z List, a short list of items accepted at the Maple Ride Recycling Depot, or see the extended version of the list below! Ridge Meadows Recycling has been running the Recycling Depot for over 30 years. During this time, we have worked with numerous manufacturers to develop the most local, cost-efficient, and environmentally-responsible methods of recycling various materials. We are often asked why certain materials are not recyclable. Usually, the answer is there is no market for the recycled materials. While many people think of recycled materials being a part of ‘green’ goods such as recycled toilet paper and products marketed as ‘green’ through their recycled content, the truth is that almost every new product can replace new, virgin paper pulp or other new material with recycled content. Other times, the item is made from a number of materials that are bonded together in a way that makes them impossible to separate (eg. toothpaste tubes, chip bags). 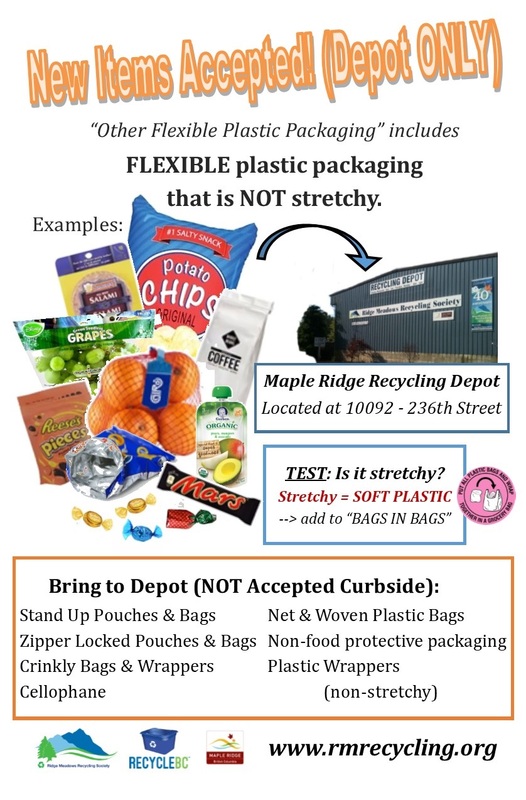 While not many companies do this yet, there are certain retailers, such as London Drugs, who will accept all packaging from products sold at their stores for recycling. 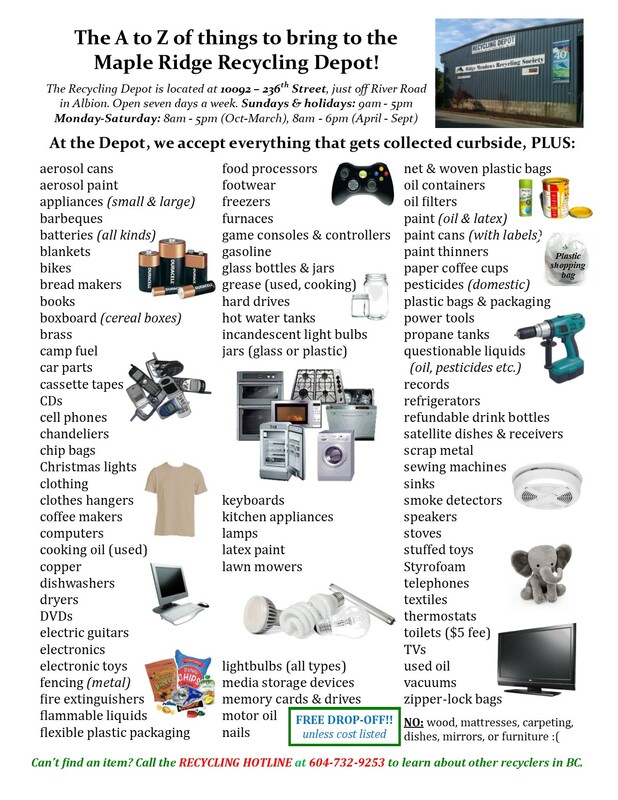 *Please note that we are an end-of-life recycling facility. If something is still usable, please try selling it or giving it away to charity first. questionable liquids (oil, pesticides, paint thinner, etc.) 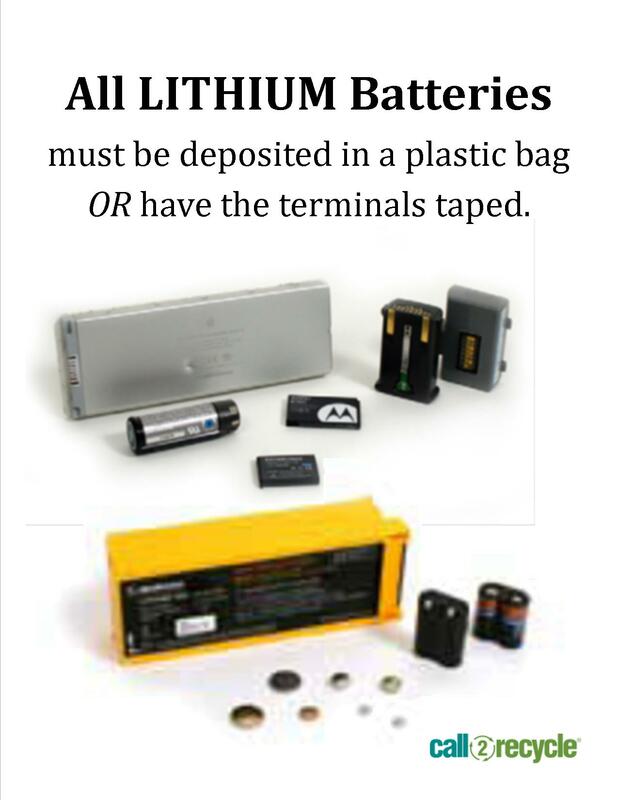 – NOTE: MUST be in original container WITH ORIGINAL LABEL to be accepted in the program.